In many European countries, the idea of “Souling” became an acceptable alternative to pagan Samhain rituals for Christians. Souling was a visiting custom carried out in the 19th and 20th centuries. The soulers visited houses, sang a song and collected money, food, drink. The cakes took many different names and shapes – from simple shortbread to fruit-filled tarts. 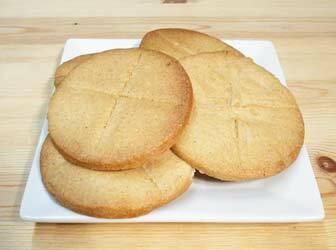 Generally, a soul cake was made with whatever grain the community had available.